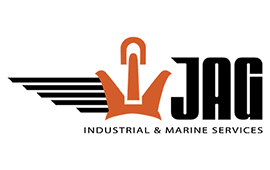 JAG Industrial and Marine Services launched from startup to industry leader providing experienced, efficient, quality support services for marine repair, shipbuilding and a wide range of industrial manufacturing projects across the United States and abroad. Our executive management team represents over 150 years’ experience in hands-on tradesmanship and project management in marine services and industrial manufacturing industries. We maintain an extensive database of experienced, highly skilled tradesmen, quickly mobilized to to provide prompt, quality support services for projects from coast to coast and beyond. Our 2017 acquisition of M3 Machine Inc. further extends the level of trades experience and mastery at our clients’ fingertips. With this acquisition we brought over 40 years of machine and mechanical expertise to the JAG family from highly respected and trusted industry brand. JAG is now a government approved small business set aside vendor. Our DUNS, CAGE and contract number can be provided upon request. We have recently completed our first GSA contract on the USS Sioux in Portland, Oregon. Click here to access our government website. JAG is Expanding NORTH to the FUTURE ! JAG Industrial and Marine Services is very proud and honored to announce our acquisition of a shipyard and synchrolift facility in Seward, Alaska. JAG Alaska, Inc. Seward represents a tremendous milestone and opportunity for JAG to expand our service capabilities and forge enduring and productive relationships with the City of Seward and the many agencies and private clients this new facility enables us to serve. Click here to learn more about the JAG Alaska, Inc. Seward facility and our capabilities to serve your marine repair and shipbuilding needs in Seward. Lake, River, Oceanic Vessel construction and repair. JAG’s skilled workforce is mobilized to meet the needs of marine repair and shipbuilding projects wherever the vessel is harbored- inland, up-river or seaside. Skilled labor, project management and quality assurance for a variety of industrial manufacturing, fabrication and assemblage projects ranging from HVAC to utilities. JAG is always seeking out new skilled tradesmen with experience in marine repair, shipbuilding or industrial manufacturing industries to provide the highest quality service on every project. 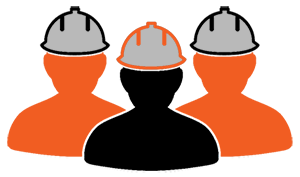 We hire Welders, Pipe Fitters, Joiners Insulators, Machinists, Mechanics, Riveters, Painters, Blasters, General Laborers and Highly Skilled, Experienced Project Managers and Foremen. Are you an experienced industrial or marine tradesman? JAG Project Management begins with our Executive Management team, representing more than a century of experience in Marine Repair, Shipbuilding, Industrial Manufacturing and every level of labor service we provide our clients. Our executive team includes designated Project Managers with backgrounds in project, plant and facilities management, including specific experience staffing and leading project teams in our client industries. JAG Project Managers ensure our client’s projects proceed expediently and within budgetary guidelines, efficiently utilizing every available resource to maximize productivity and quality on every project. Our Quality Assurance Program is second to none. 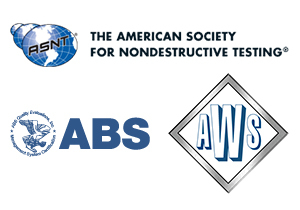 Our staff includes AWS CWI/ASNT level II VT and ABS approved stamped WPS’. This enables our company to update, develop or review a customer’s WPS’ and ensure quality company wide. We also have extensive experience with all regulatory bodies and can represent the customer on-site fulfilling all regulatory requirements, if needed. Additionally, JAG has researched and developed an extensive QC manual on the riveting process complete from the removal process, repair, preparation, renewals, mechanical tightening and testing. We are confident there are no other companies that currently possess our level of expertise in the riveting field. 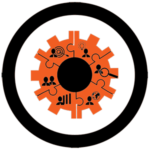 JAG’s Machine Repair and Mechanical Shop represents a synergy of our highly skilled and mobilized labor force and the guidance, skills and resources of a trusted leader in machine and mechanical services. You provide the project. We bring the experience, skills and manpower. We want to learn more about your Industrial Manufacturing, Marine Repair and Shipbuilding projects! Have questions? Want a FREE QUOTE on your project? Contact us NOW!